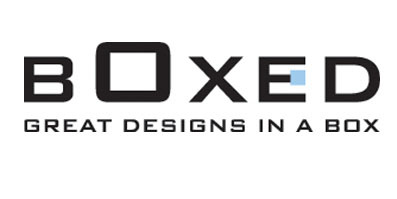 Boxed Blog: Our Giveaway to Khaleejesque Readers! Our Giveaway to Khaleejesque Readers! This week we participated as a sponsor for http://www.khaleejesque.com/ readers competition for celebrating their 2nd Anniversary! We offered a magnificent giveaway; a handmade pillow cover full of vibrant colors and made in the lovely land of Sri Lanka! 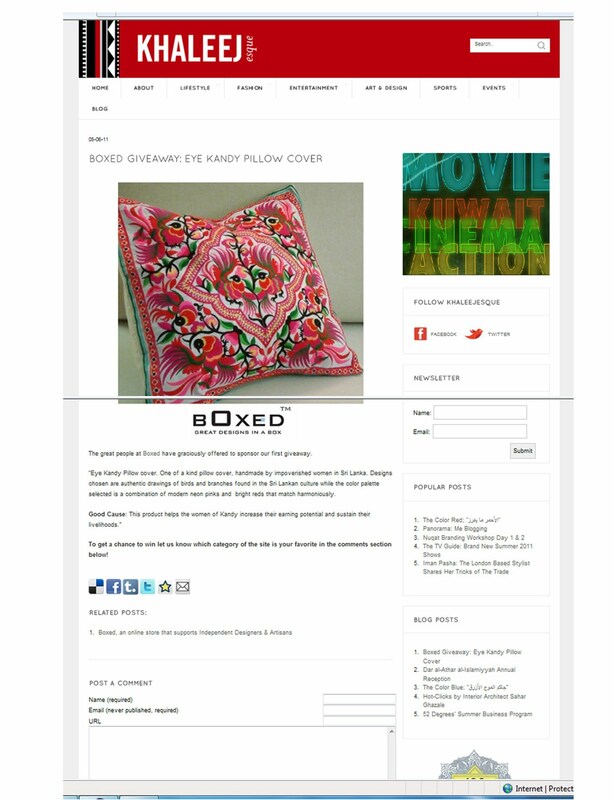 Go ahead and check it out here: http://www.khaleejesque.com/2011/06/blog/boxed-giveaway-eye-kandy-pillow-cover/ and maybe participate in the competition to give this lovely pillow cover a home.